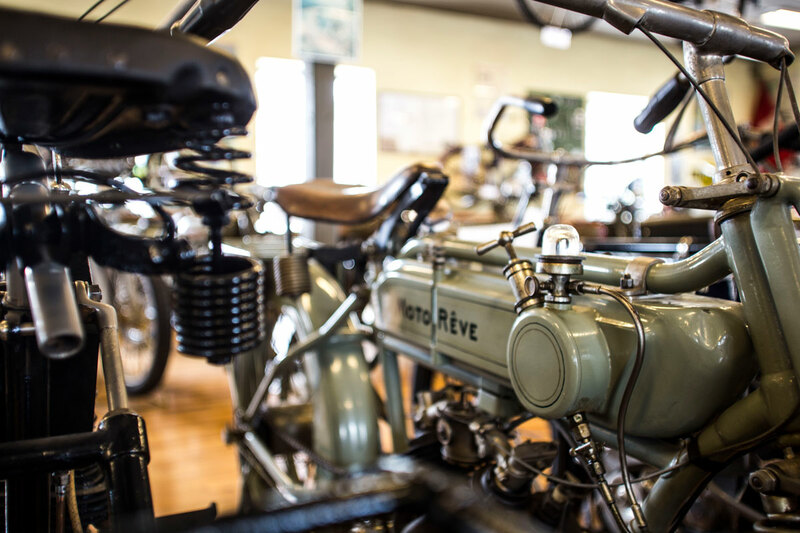 With the invention of the internal combustion engine in the 1880’s, experiments soon began on 2-wheeled vehicles with ”engine assistance”. Daimler-Maybach started in 1885 with a 2-wheeled vehicle – although it had supporting side-wheels. 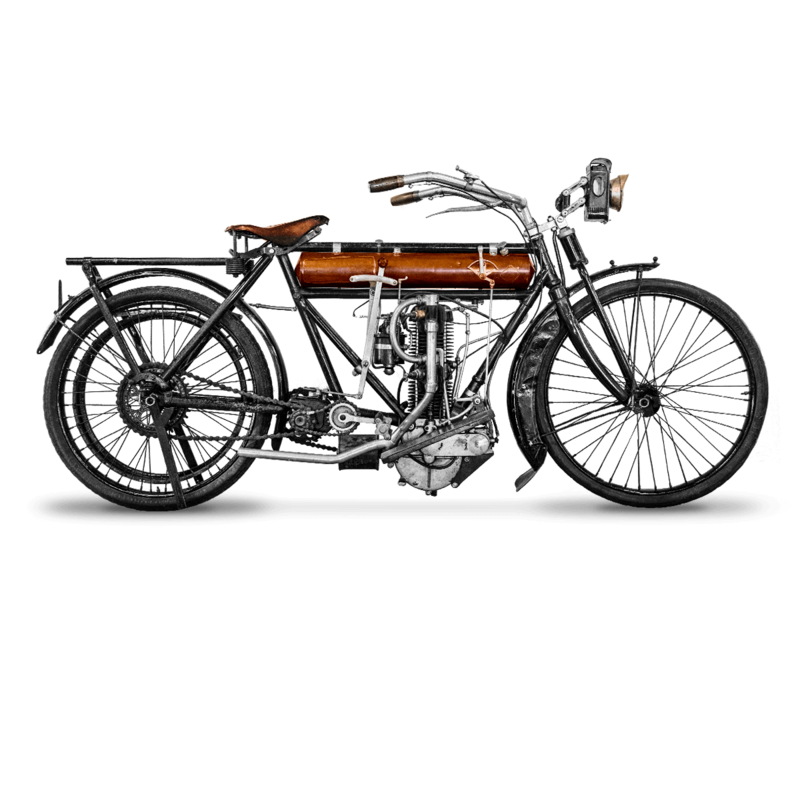 In 1897 Albert de Dion and Georges Bouton built a motorcycle with a steel-tubed frame carrying an engine. 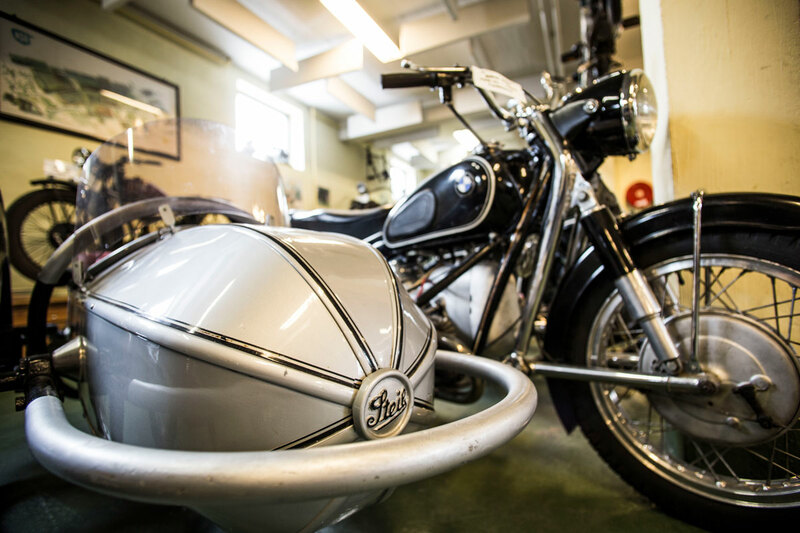 The oldest MC in the Museum’s collection – Dansk Humber – has a double-pistoned de Dion-Bouton engine. De Dion-Bouton supplied engines driving propellors for use in the air-balloons of the period, and it was an engine of this type that was adapted for use in the Dansk Humber. 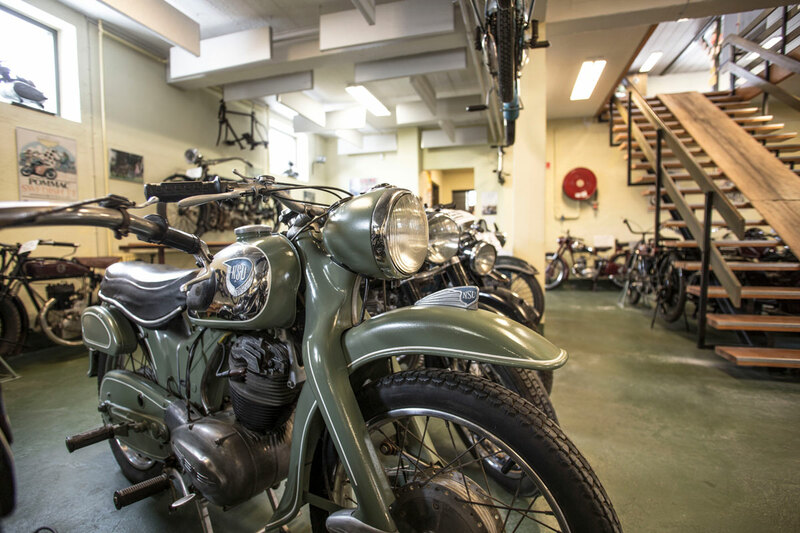 Many MC-enterprises started as weapons manufacturers, and needed to find other products for peace-time use: tools, bicycles, and cycles with auxiliary engines. After the Crimean War (1854-1856) the British government asked 14 weapon-makers in the Birmingham area to amalgamate into one company. This took place in 1861, resulting in the Birmingham Small Arms Company (BSA) with the famous ”3 piled rifles” in its logo. Production focused on weapons and accessories for the armies of various countries, later diversifying into tools and machine tools. In a similar way the Belgian FN concern originally began as a weapons manufacturer. 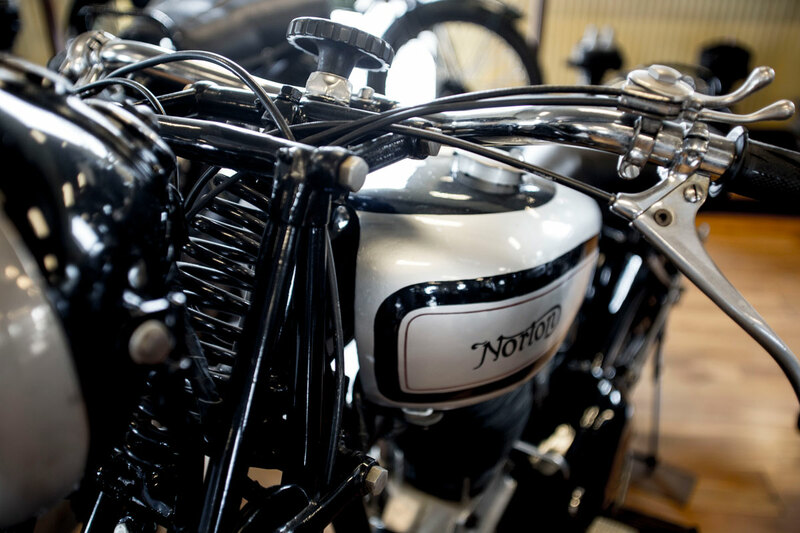 FN was the first company to produce a 4-cylinder in-line engine, as early as 1905. 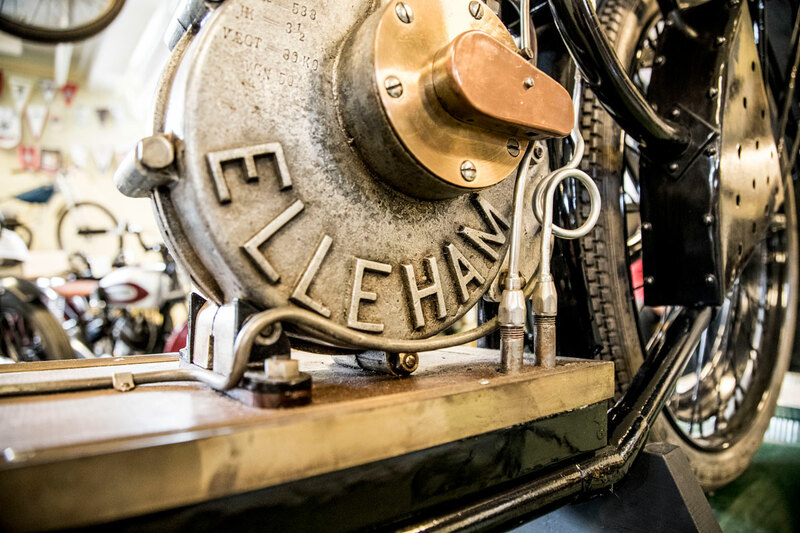 And in a similar way, J.C.Ellehammer in Copenhagen started producing his ELLEHAM motorcycle, initially using Peugeot engines. Later he produced his own cast crankcases mounted with cylinders supplied by Peugeot. He added various devices of his own invention to improve the machine’s performance. 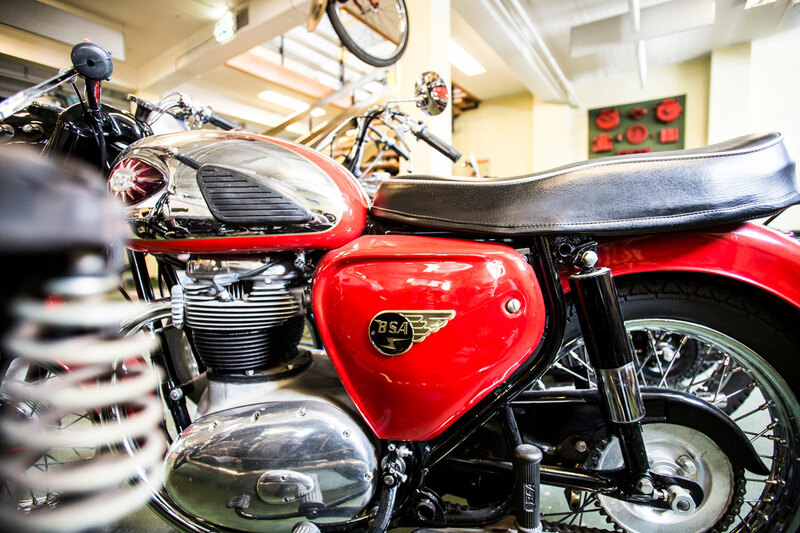 Until the First World War, Indian was the world’s largest motorcycle manufacturer. 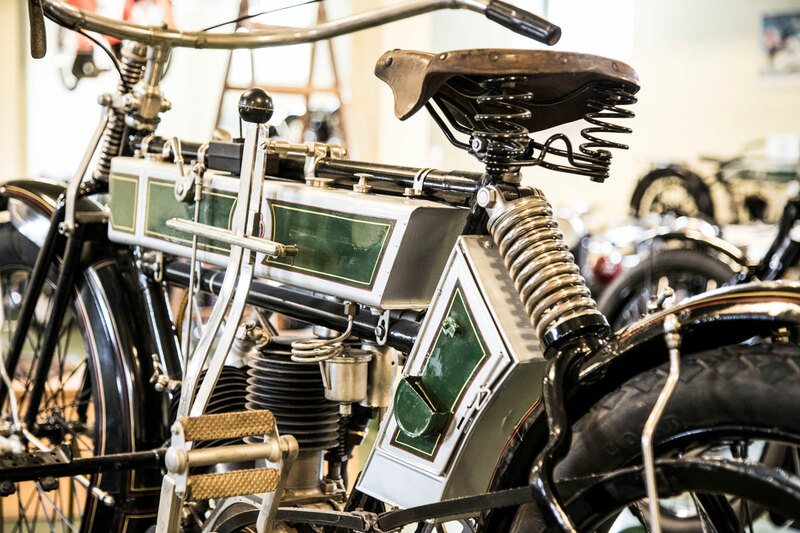 After the outbreak of the First World War (1914-1918) motorcycle manufacturers had to adapt their products to military requirements, and solid, reliable and easily serviced models were preferred. Despatch riders needed a light and manoevrable machine, but the front line troops needed a robust motorbike, often with a sidecar attached. Sometimes a machine gun was mounted on the sidecar. 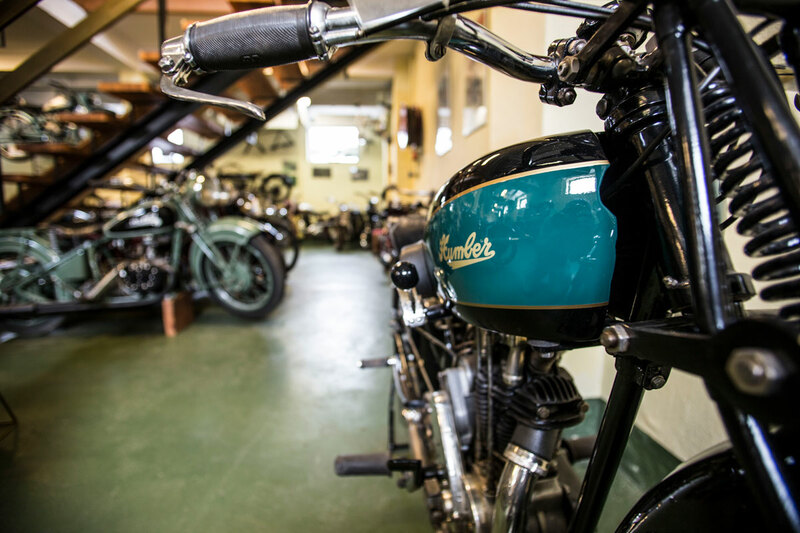 After the First World War, production returned to normal, and the many soldiers who had learned to ride a motorbike wanted to have one for civilian use, so there was a growing demand for machines. Motor racing also started up again, and this led to developments in motor design which later benefitted the standard road models. 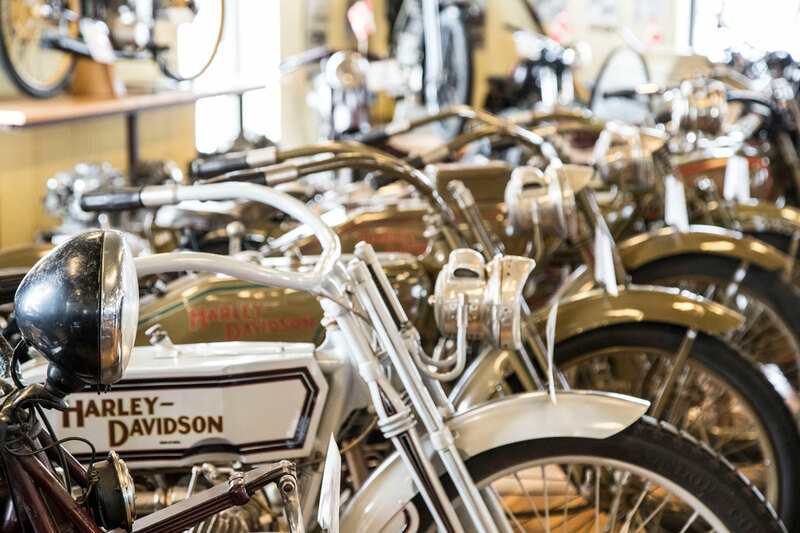 After the First World War Harley Davidson became the biggest MC manufacturer, maintaining their lead until 1928 when the German company DKW took the lead as the world’s leading producer. Make / Model Year of construction Motor type Motor size / C.C.